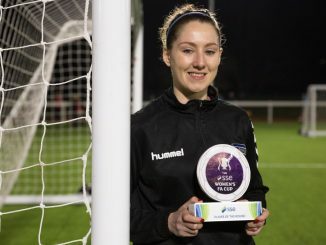 Ten months after admitting she “cried tears of joy” when signing for West Ham United, American midfielder Brianna Visalli is hoping for more of the same when she steps out at Wembley for 4th May’s SSE Women’s FA Cup final WRITES TONY LEIGHTON. 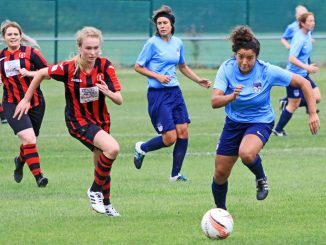 In what will be the club’s first ever appearance in the final – and in their debut season as a fully professional, top flight outfit – the Hammers will take on 2017 winners Manchester City at the national stadium. “It’s great to be part of something that’s so historical,” Visalli told She Kicks. “Playing at Wembley is something that boys and girls dream of, so the fact that I get to be part of that experience in my first year in England is truly special. Playing at Wembley will cap what indeed is an historic season for West Ham. 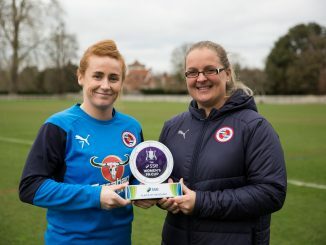 But they had the toughest of times to get through their semi-final against Reading, eventually winning 4-3 on penalties following a 1-1 draw after extra time. 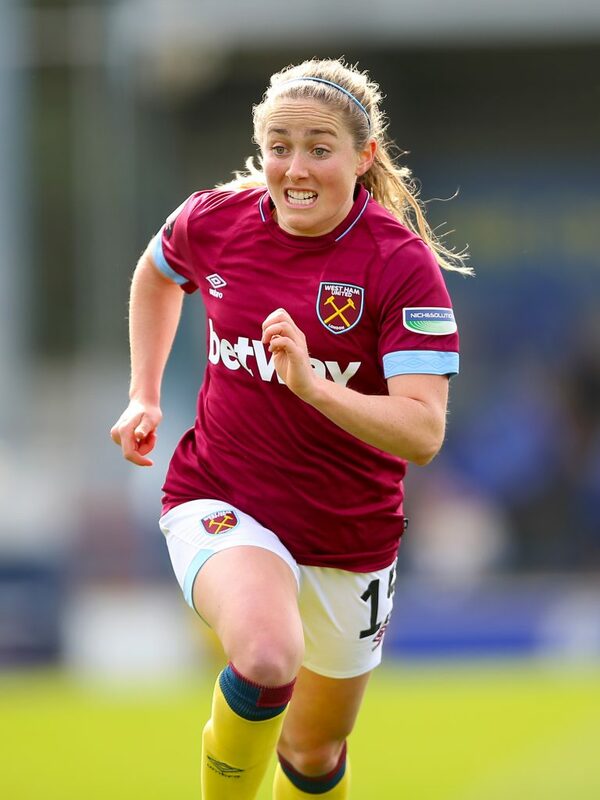 Visalli – 24 on Wednesday – stepped into the fray as a 52nd minute substitute and had some bad as well as good moments, among them a blocked shot that led to Alisha Lehmann’s West Ham equaliser and a missed penalty in the shoot-out. “I wish my shot before our goal had been a little cleaner,” she said. “I toe-poked it after the block and tried to get to the ball again, but then Alisha was there and she cleanly put it away – so hopefully I got an assist! 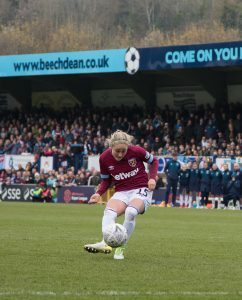 Brianna Visalli takes her penalty during the shoot out which West Ham win 4-3. 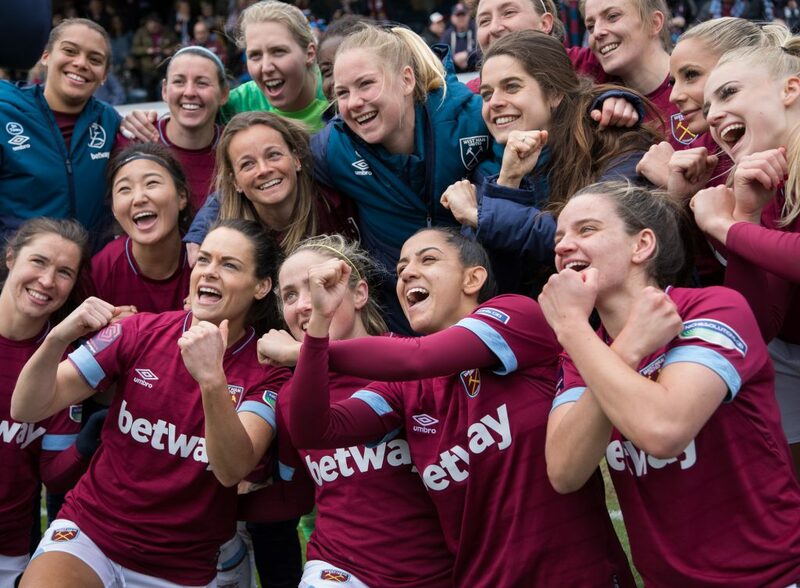 Having come through against a team they had already beaten in the WSL, West Ham will now be underdogs in the final against City – against whom they were trounced 7-1 away in October and lost 3-1 at home in January. Manager Matt Beard, who like Visalli and the Hammers will be making his first Wembley appearance, said: “We had a really tough time up at Manchester, but the game at our place was quite close. “Manchester City have been excellent all season and they’ll be favourites, but whoever we got in the final would have been difficult opponents. It’s a one-off game though, and anything can happen on the day.